What a week. And what a shame that so much of it has been spent inside but with a little boy and two cats (my life really is filled with marvellous small noisy beings), getting the house unpacked so that they could feel like they were home seemed to be a priority. We’ve had a couple of walks around our land and think we’ve sketched out the changes we want to make. Essentially we’d like to add a native hedging border to help the dormice and also to increase our crop of things like sloes, and we’re also going to adjust the ways that the paddocks are set out and to plant an orchard. I think we’re going to fence the pond off and let it grow wild to help the local wildlife and I’d really like to get our vegetable patch started. All in all, a lovely load of rather hard work that I can’t wait to sink my teeth into. If only there weren’t so many pesky moving boxes still in circulation demanding my attention! I’m still quite overwhelmed by all of this space. I had a rather naïve idea that we’d move and by the first weekend I’d be outside with a rotavator creating a vegetable garden so that I could plant out autumn garlic and greens and things and realistically I doubt that I’ll be doing that any time this month. 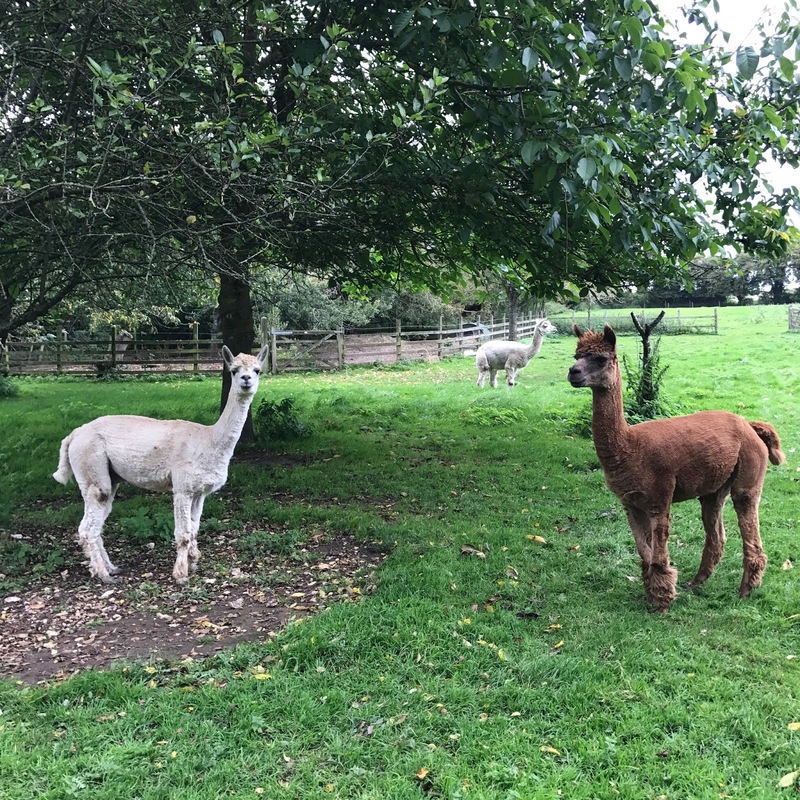 We feed the alpacas every day and have had a few quick pokes about the garden but I’m still not entirely sure what’s actually there and what we can do and where the sun shines. 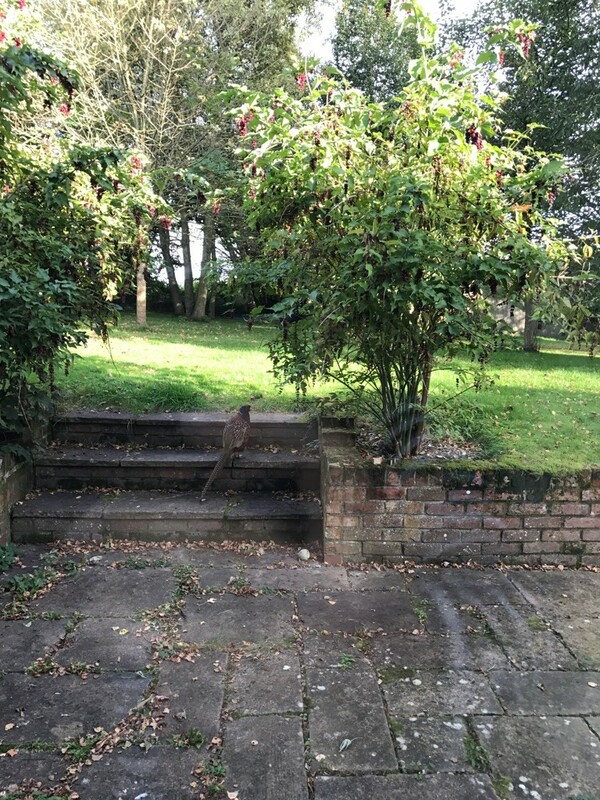 We have a resident pheasant called Percy, and he appears to approve of us as he brought his wife over today to strut about the garden whilst our urban cats plastered themselves to the windows staring at what they presumably believe to be the biggest sparrows in existence. This has been such a massive learning curve. I’ve learnt that nobody can find our smallholding, and that the best mobile reception is at the bottom of the alpaca’s field. I’ve learnt that I wasn’t imagining it, the alpacas really dislike me quite a bit and that I’m a bit tired of being greeted by five sets of ears laid back and brown teeth hissing at me when I come home. I’ve learnt that the people in the village are lovely, with several of them already popping round to welcome us. Everybody seems to know that we’re new and, oddly, where we live! We’re starting to learn which local pubs do the best food (priorities) and how to drive to our local town. I’ve learnt that we own far too much stuff and that frankly we could probably streamline our life as far as belongings go. I’ve also learnt that I can’t wait to get out into the countryside for a walk and that children dislike moving house. All in all we’re happy but tired and I just want to get outside to start pulling the land about! I managed to make a complete and utter fool of myself yesterday chasing a perfectly nice if baffled neighbour through the whole village flashing my lights at him and gesturing out of the window for him to pull over in the mistaken belief that he was the OpenReach (telephone) installation chap and that he was just leaving my house as I arrived. Those familiar with the difficulties of getting a phone line installed in the UK may have some sympathy for my desperation when I thought he’d arrived early and was leaving again but the fact of the matter is that I felt like a moron and he has every right to think I’m a redneck loon for bearing down on him in such a ludicrous manner. Not, in retrospect, the best way for me to introduce myself to the neighbours. I suspect that any hopes we might have had of simply quietly joining the community and settling down as if we’d always lived here might be shot! Still, I’m really happy every day when I wake up and wish there were more hours in the day so that I could get on with everything all at once. I shall console myself with the idea that this home will take shape over a series of years, and settle back to enjoy the changes.